The Fairview M. B. Church was organized in 1918, under the leadership of the late Rev. Mark Burns; in an old store-front building on the corner of Amite and Jefferson Streets in downtown Jackson. Its name derived from the view of the Mississippi State Fairgrounds. Following the lead of the Holy Spirit and with bare necessities such as wooden apple crates and planks for make-shift seats, Rev. Burns moved forward with two deacons—Bro. Jeff Mason and Bro. John Camel; church clerk, Sis. Ella Patton, and following her death Sis. Olive Patton. After six years of hard work and self-sacrifice by the faithful few, enough monies were raised to purchase a lot on Mississippi Street from M. A. Lewis. By 1924, the membership had grown to about 25 members and the church was officially built. Rev. Burns was called to another assignment, and the late Rev. Willie Pickens was called to carry on many unfinished tasks. He was a very good orator and the church grew mightily under his leadership. Following Rev. Pickens, the late Rev. N. Trouvillion was called to service for a short time and then came Rev. Jackson. In 1930, the Rev. F. W. Coleman was called as pastor. He was a young dynamic man just beginning in the ministry. During his 14 years of service, much was accomplished—different auxiliaries were organized and many more souls were added to the church. Directly following Rev. Coleman, the Rev. R. L. Varnado (former pastor of Ridley Hill Baptist Church of Madison County) was elected and served eight years of which the church continued to grow in souls and finances. In 1953, the Rev. R. H. Walls (former pastor of Pilgrim’s Rest Baptist Church of Madison) succeeded Rev. Varnado. Rev. Walls, like his predecessors, showed a real interest in the church. During his tenure, the church roofing was updated, the siding painted, a walkway was installed, and an organ and piano were purchased. The Deacons Ministry grew under the beginning administrations. They were as follows: Brothers Jess Moss, John Camel, Sam Patton, Hemphill, Alforna Lewis, Charlie Spencer, Harvey Miles, Buster Jones, Joseph Walker, Vertis Kersh, Cleveland Jorner, and Albert Smith. On April 27, 1962, by the leading of the Holy Spirit, Fairview called Rev. S. L. Spann, Sr. as pastor. Through the mighty hand of God, he led the church on the second (2nd) Sunday in July 1963 from the building on Mississippi Street to 2545 Newport Street. Just a little over a year later that building was upgraded and the original 65 members that came from Mississippi Street were now 300 strong. After settling on Newport Street, Fairview Church began to really grow and the name was changed to the Greater Fairview Missionary Baptist Church. 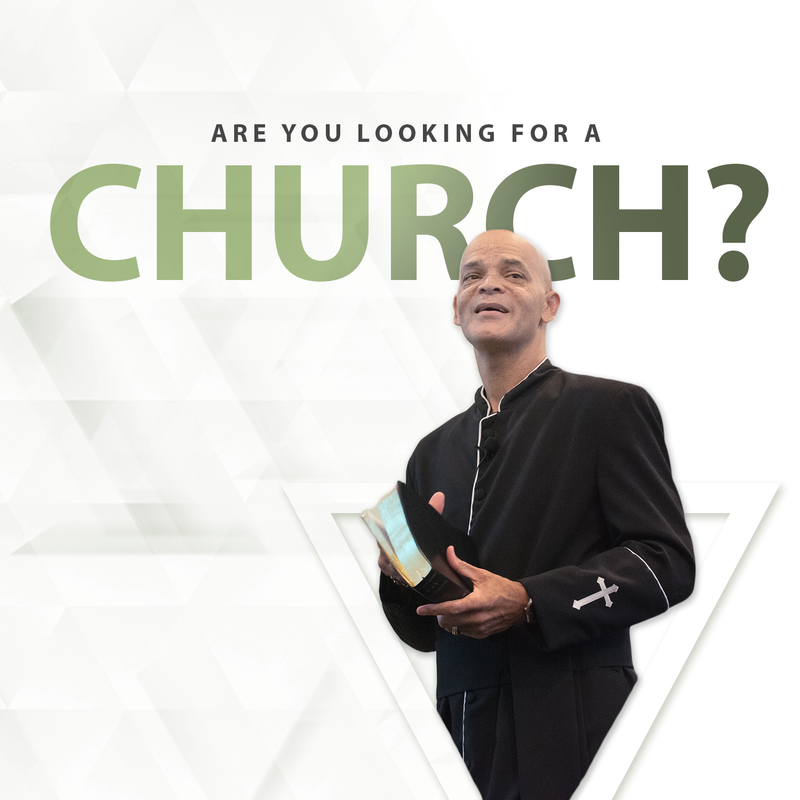 Through the leadership and teachings of Pastor Spann, the Word of God was being deeply planted in the hearts of all and people were urged not to just congregate, but to participate—to use the talents God had bestowed upon them in love and with purpose. Many new ministries were established to accommodate and involve everyone in this newly growing fellowship. The needs were met through the establishment of both Senior and Junior Matron Leagues, Senior and Junior Laymen’s Association, Junior Ushers Ministry, Women’s Missionary Society, Trustee Board, Senior Choir, Chancel Choir (which was the beginning of the Young Adult Choir), YWA Association, and the Sunday School grew to 10 individual teaching classrooms. Rev. Spann understood the importance of proper training and in order to reap a productive harvest you had to plant the “Right(eous) Seeds.” The church also enacted an after-school tutorial program, where students were not only taught the 3 R’s, but also offered a holistic Christian approach to their studies. Greater Fairview became a true source of spiritual revitalization for the Shady Oaks community. The pure God-given preaching and teaching on love by Rev. Spann, along with the strong and powerful spirit-filled songs sung by the choirs, drew many from the community, and the congregation grew even more. Seeking a deeper knowledge in the Word of God and leadership, Rev. Spann, at a seasoned age, returned to school and worked diligently achieving not one, but two doctoral degrees. In 1992, Dr. Spann was led by the Holy Ghost to build a new sanctuary, and the project began with total support from the church and its leaders. The building was dedicated the third (3rd) Sunday in October, 1995. During the period of Dr. Spann’s honorable position as Pastor Emeritus, Rev. Charles H. Spann served as Interim Pastor for approximately 15 months. Following the formation of a pulpit search committee by the church, who was charged with the responsibility of selecting a pastoral candidate. Reverends Charles Bell and Bobby Burks served together as Pulpit Facilitators. Amazingly, the temporal positions for these three Sons of the House provided them with leadership experience which ultimately prepared them pastor. And, soon after, each of them were called to pastor a church. The words, “The Church Where Love Prevails Over Hate” became more prevalent in our process to find a new leader. The church united even stronger, respecting the leadership at hand and continued to honor our beloved Pastor, Dr. S. L. Spann, Sr. and Mother Fannie B. Spann, both of which had fallen into ill-health. As in life when assignments are complete, we must all move on. And, Pastor Spann’s assignment was completed on November 9, 2001, after 38 years of service to Greater Fairview Church, the Shady Oaks Community and the State of Mississippi. He was called home to received his just reward, leaving the church sadden yet rejoicing in the fact we had been taught how to love each other to an unmeasurable magnitude. Feeling the disconnect from her helpmate, just nine months later, in August 2002, God called Mother Spann home, too—leaving a lasting hallmark of her quiet, gracious, and humble character in the midst of servitude. The Church had already called Rev. Danny R. Hollins in July 2002. Hence, Rev. Hollins served as pastor for 11 years. In 2004, the Church purchased 34 acres of land on Boling Street for future development. During the 2005 Hurricane Katrina aftermath, our church became a refuge center and provided shelter for 60 members of one family from Slidell, Louisiana, and later to a Hispanic family from Houston, Texas, in September after Hurricane Rita. Our creed of “Meeting People Where They Are” was truly tested and taken to the limits in helping our neighbors. Beginning in 2006, the Church became more intricately involved in advancing education in the community by adopting Johnson Elementary School, Morrison Academic Advancement Center, and later Dawson Elementary and Northwest Middles Schools. Greater Fairview also became a satellite campus for Jackson State University – Continuing Adult Education Program, where many of our church members obtained college degrees. October 2010, development was started on the Boling Street property and the Fairview Learning Academy, along with the Recreational Outreach Center (ROC) was built. For five years the Church was without a Pastor. Once again, Rev. Charles H. Spann stepped in and kept the Church mission going as acting Interim Pastor. Greater Fairview never lost her zeal and our membership roster continued to increase under his leadership. Through the orchestration of the Holy Spirit, the Church began to pray for its Joshua. Among the candidates seeking pastorate was one of our very own Sons, Rev. Vincent V. Russell. The votes were rendered and by consensus Rev. Russell was elected as the eighth pastor of Greater Fairview our new pastor along with his helpmate, Dr. Natalie Morton Russell, as our new leaders. On February 26, 2017, Pastor Russell was officially installed. Within the first year of service under Pastor Russell, the Church has grown welcoming more than 100 new members. The Executive Administrative Support (EAST) Team and Evangelistic Training classes were formed. The Children’s Ministry—Salt and Light Ministry was restructured; and the Couples Ministry (Making Our Relationships Extraordinary (MORE)) was revitalized. Pastor Russell has written the Church’s theme song, “Welcome to the Fairview Experience,” which is our long-standing motto: “The Church Where Love Prevails Over Hate.” Under his new leadership, powerful teachings are going forth in Wednesday night Bible Class and thought-provoking, life-altering sermons are coming forth on Sundays. Greater Fairview is in the midst of a new birth and we are anticipating and moving with the changes the Holy Spirit is taking us to. To God be the Glory for the Wonderful Things He Has Done! IMPACT/BIBLE CLASS - 7:00 PM April 24, 2019 2545 Newport St, Jackson, MS 39213, USA Bible Class (Adults)Impact (Youth Bible Class)Bring the Family to Bible Class we are here for the whole family. PRAYER SERVICES 6:45 - 7:00 PM April 24, 2019 2545 Newport St, Jackson, MS 39213, USA Join the GFMBC family, we believe a family that prays and study together become stronger in our faith.